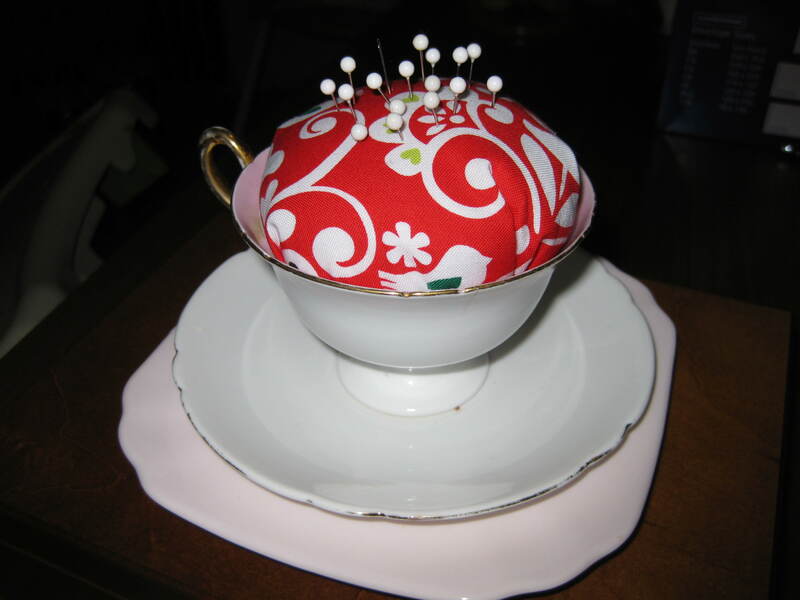 Tea cup pin cushion – Mumma, Did You Know? My New Years resolution for this year was to actually use all of the lovely china I have accumulated over the years. I searched through the cupboards, unpacked a box that has been in the cupboard for nearby five years and had a look at what I have. Then I turned to Pinterest to figure out what to do with all the extras I have, including lovely ones that are too fragile to actually use to drink tea out of. One that I liked the look of was creating a pin cushion out of the tea cups. I liked this tutorial and followed along with it, except I ignored all the gluing because I couldn’t bring myself to glue up a tea cup. Instead of pin cushion is nested in there snugly (although not as snug as when it would be glued in, of course). I decided to use it for a while first and see if glue was necessary. Also the baby woke up from the short nap he had granted me with and I ran out of time. One tea cup down, quite a few to go.